Every year, I dream about doing a silly scavenger hunt of sorts, running around town getting all the birthday freebies I can. The problem is, I can only eat so many free desserts and ice cream (Ben & Jerry’s, Baskin Robins, Dippin Dots, and Cheesecake Factory, I’m looking at you)! Since I know I’m not the only one who likes getting free stuff on my birthday from businesses, I decided to put together a list of the best birthday freebies I could find. See Also: Need extra birthday cash? Check out these 28 ways to make extra money fast. 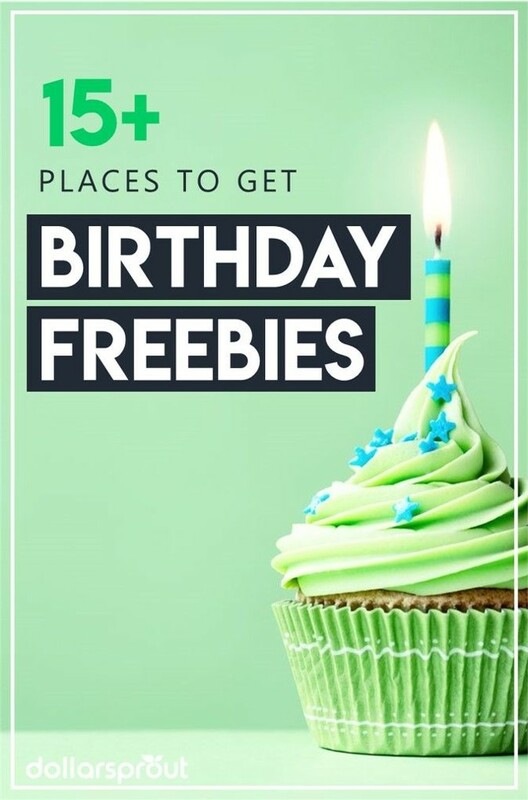 If you love free stuff and you’re searching for “birthday freebies near me” or online, then this article is for you! Keep reading for some awesome free birthday stuff! Who doesn’t love chocolate? The Godiva rewards club is free to join and comes with one free chocolate for your birthday, plus another every other month of the year, too. Did you know Jason’s Deli has free ice cream? And that’s on every day they’re open, not just as a birthday freebie. But when it is your birthday, you can get a gift voucher for $5 toward your panini, salad bar, or soup craving at Jason’s Deli. All you have to do is join their Birthday Club. Bonus: you don’t have to sign up for promotional offers; they offer an immediate opt-out option for that when you sign up. There’s a free burrito in your future at Moe’s! Sign up for their rewards program to claim it. Anyone who drinks as much coffee as I do will know Starbucks offers a free single-serve drink or food item of your choice on your birthday. If you aren’t already, you’ll need to become a rewards member 30 days prior to your birthday, but that’s a quick and free step. → Pro Tip: Speaking of free stuff, if you didn’t already know this, Starbucks allows you to get free refills of brewed coffee and iced tea while you’re in the store. Also, be sure to check out these other ways you can save money at Starbucks. There’s no restriction on the size of the item, which means I usually opt for my favorite indulgence, like a venti macchiato. It’s also a good time to stock up online as they offer you 15% off at the Starbucks online store. Now that everything is done using digital vouchers (this freebie used to come on a postcard), you just visit a store, order, and tell the barista you’d like to use your birthday reward when they scan your app for payment. Craving a sandwich on your birthday? Cool. These guys offer a voucher for a drink and regular sub. The best part? You can use it any time in the upcoming year. Be sure to sign up for this birthday freebie at least 24 hours before your big day! I love sushi nearly as much as I love caffeine, so a gift card that would cover my birthday meal is a major draw for me. With restaurant locations from California to Texas to Maryland, you can cash in a $20 voucher at Ra Sushi. You’ll need to join their preferred customer email program, which they call The Hook Up. The reward program comes with other great perks, including VIP gift reminders so you never forget your BFF’s special day or your anniversary ever again. Another place to get free, premium chocolate on your birthday: The Melting Pot. Like Ra Sushi, another mouthwatering Asian birthday food freebie can be found at Benihana. Adults who join their eClub, The Chef’s Table, will qualify for a $30 gift certificate. It isn’t valid on the weekends or for alcohol, so check the fine print. Otherwise, this $30 birthday freebie should cover the bulk of an adult entree. For birthday freebies for kids 12 and under, there’s a Kabuki Kids program, which entitles them to a free mug with the purchase of a kid’s meal during their birthday month. They’ll also get a birthday card in the mail. Landry’s owns several steakhouses (McCormick & Schmick’s; Morton’s), but are also affiliated with some hotels, including Hilton, and several other types of restaurants, like Joe’s Crab Shack. Signing up for the Select Club will get you a $25 birthday reward to be used any time during your birthday month. By joining the Prime Club at Black Angus, you’ll get a free birthday steak dinner. If you’ve never heard of these guys, it’s because these restaurants are clustered in the southwest part of the U.S. There is one small catch: you can only use this deal once. Even so, a free steak is a free steak. For each birthday after that, you’ll get a voucher for a cookie. If you’re a Reddit reader, you might have stumbled across r/BirthdayFreebies in the past. If you’ve hung around our site for any time at all, you know we are big fans earning extra money with Swagbucks, but did you know that they offer extra points for your birthday!? I love my lazy weekends on the couch, so this is something I’m especially inclined to sign up for personally: a free movie from Redbox. Like most programs, they offer points and special codes throughout the year to reward your loyalty! Now here’s an offer for the equivalent of cash. Join the VIP club program at DSW to automatically qualify for a $5 voucher for your birthday. You can use that in store or online. If you reach their Elite member status (spending over $500 on eligible items in a calendar year), you’ll earn more points in their system and qualify for $10 in birthday benefits. 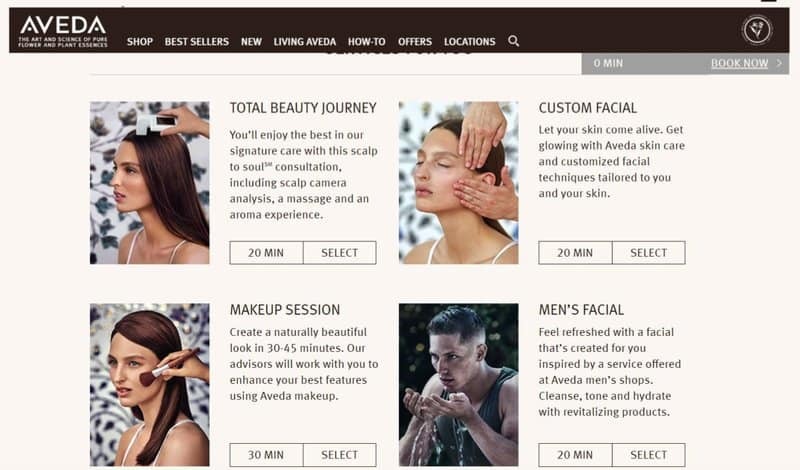 If you live near an Avada store, you probably don’t realize there’s a reprieve of relaxation available for free. Although this isn’t limited to use on your birthday, it’s a fantastic time to take advantage! One is a fantastic treat for a solo trip to cash in on your birthday. Men, don’t think you can’t enjoy this, too — they do offer a free men’s facial. Similar to the Avada pampering you can pre-book for your birthday, by signing up to be a Sephora Beauty Insider Member, you can score a small birthday beauty treat from a brand like GlamGlow, Bite, and Buble and Bumble. You can redeem at a brick and mortar store, a Sephora JCPenney location, or online at sephora.com anytime during your birthday month. The rewards clubs at Ulta and Smashbox also have birthday offers for members. If you’re looking for birthday freebies for kids, you can enroll kids 12 and under in the Medieval Times’ version of a birthday club program, known as The Birthday Fellowship. That’ll get you free admission along with the paid admission of an adult. The offer is valid anytime throughout their birthday month. You’ll get an email with the details in the weeks leading up to the celebratory day. Feel like stepping it up a notch? You can book a birthday party for an extra $7 per person admission and get fun perks like cake and an announcement in the stadium. The take-home message here is that you can do better than free ice cream. There’s steak, makeup, entertainment, sushi, and even extra Swagbucks. What were your favorite freebies on this list? Any hot tips we can add to the list for where (or how) to get free birthday stuff? Great list Annette, thank you!! Ugh, I enjoyed this article until I realized the author went to Purdue. Go Hoosiers! More of a Nittany Lions fan myself but I suppose I’ll allow this blasphemy to go on. If you’re Minnesotan and love coffee, then I’m sure you’ve heard of Caribou Coffee. If you’re a Perks Member, you’ll receive a free any size beverage…so you can add in whatever for free! Also, after your first check-in (with your phone number) you’ll receive a free any size beverage just for your first time checking in. I love it!